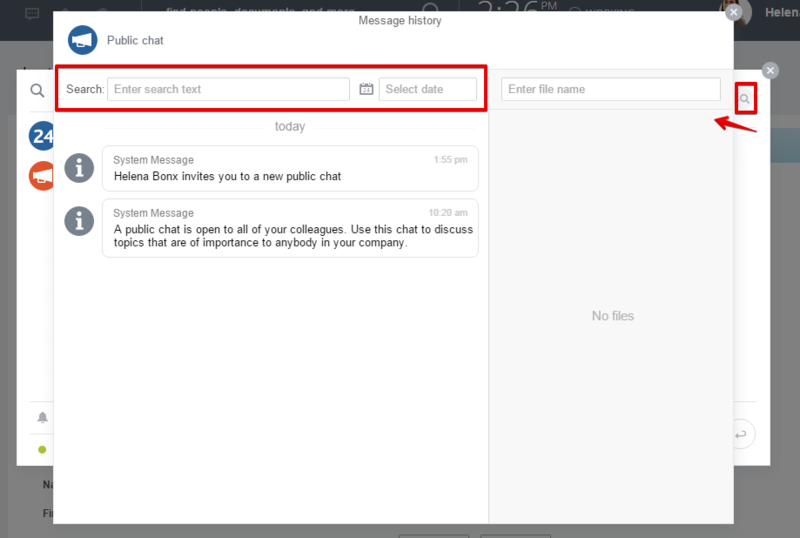 General chat is already available in all Bitrix24 accounts. 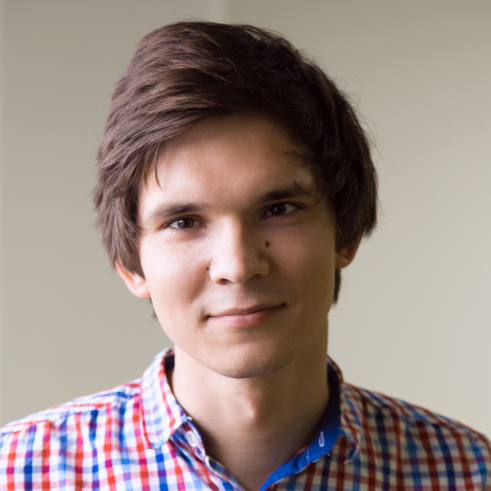 This is a general chat for all Bitrix24 employees (users) of the same intranet. All intranet users can read the chat, send messages and comment. The purpose of this chat is to have one common place and fast and convenient method of sharing important information with all team members. 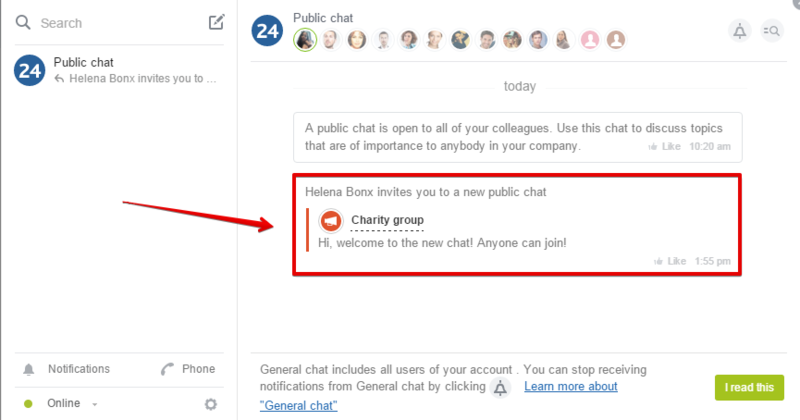 When a new message is added to the chat, all intranet users receive a notification. Also when a new public (open) chat is created by any team member a notification with the new chat link is sent to the General chat - so that any team member can join. Please note that notification to the General chat won't be sent if the chat is created as private. You cannot change avatar or chat icon in the General chat. You cannot quit the General chat, but chat notifications can be disabled: you won't get General chat notifications anymore, but the chat itself won't disappear and you will be able to open it and read the messages at any time. 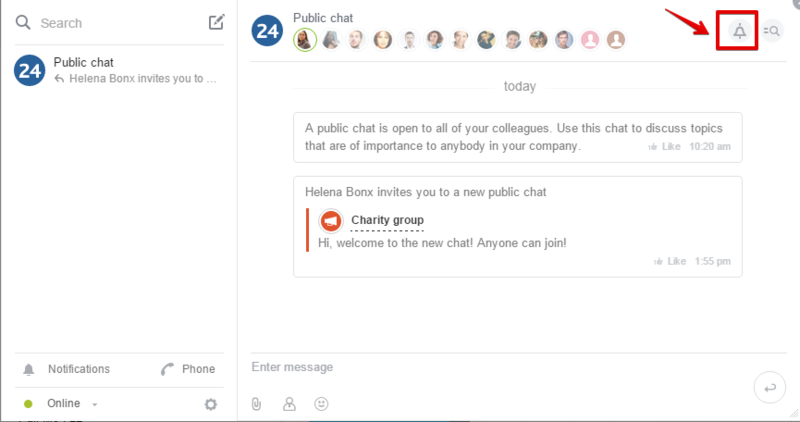 Important: your Bitrix24 intranet administrator can configure access permissions to the General chat in the Intranet Settings > Allow users to send messages to General chat: e.g. disable this option for all users or select users who will have access to this option. General chat history is available, users can filter all messages by dates or search by a particular words.